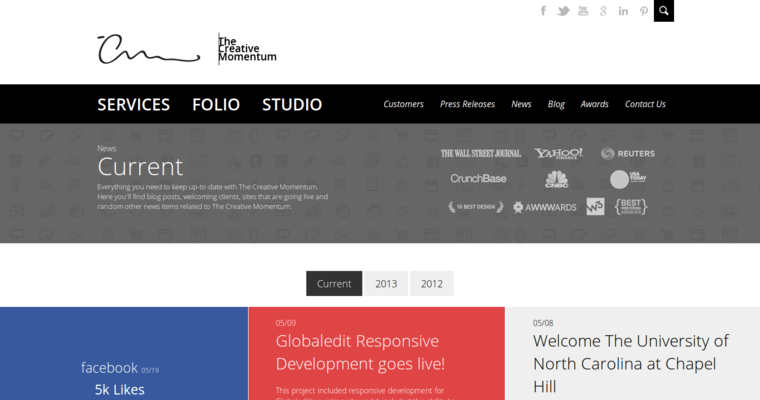 Working with clients in the Atlanta metropolitan area, The Creative Momentum brings a lot of innovative web design ideas to the table. This agency prefers to use the latest methods in coding and scripting in order to polish the visual aspects of web pages. Interactive menus are created with HTML and PHP, and other languages are also used to improve the performance of such features. Flash technology is particularly effective in supporting dynamic web pages that prompt users to click, type and do other actions for a personalized browsing experience. 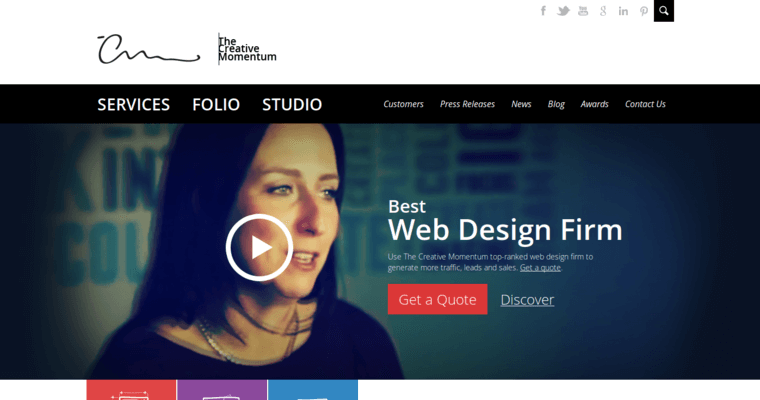 The Creative Momentum can also enhance the quality of content on websites in several ways. 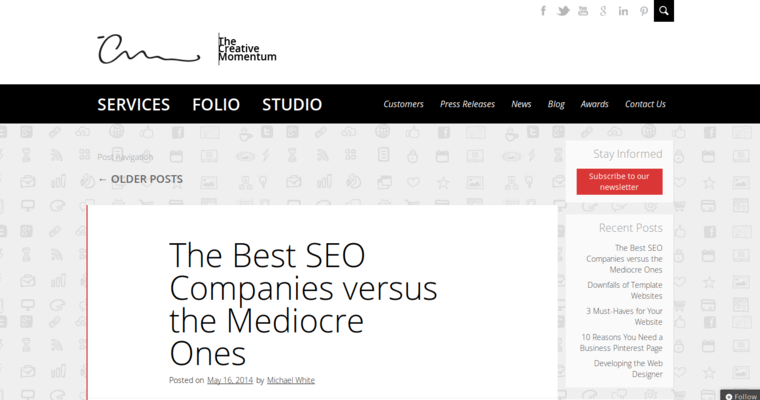 Articles are written on niche topics that actually relate to the core themes of a domain. This firm also specializes in making strong calls to action especially on eCommerce websites that sell products. Bulk marketing campaigns via email and social media are also offered by the firm.